For booking inquiries please contact info@glkress.com. November 13: ME310 Global Design Innovation; Prototype Or Else (Stanford Campus). August 15: MediaX at Stanford University; Design Thinking for Innovation Workshop (Stanford Campus). April 16: Molde University College ; Design Thinking for Innovation Workshop (San Francisco). March 6: BMI Lab AG; Design Thinking for Innovation Workshop (San Francisco). February 6: ME310 Global Design Innovation; Prototype Or Else (Stanford Campus). January 31: ME310 Global Design Innovation; Works In Progress (Stanford Campus). November 14: Covestro; Design Thinking for Innovation Workshop (The Radicand Lab). November 2: Molde University College; Design Thinking for Innovation Workshop (The Radicand Lab). 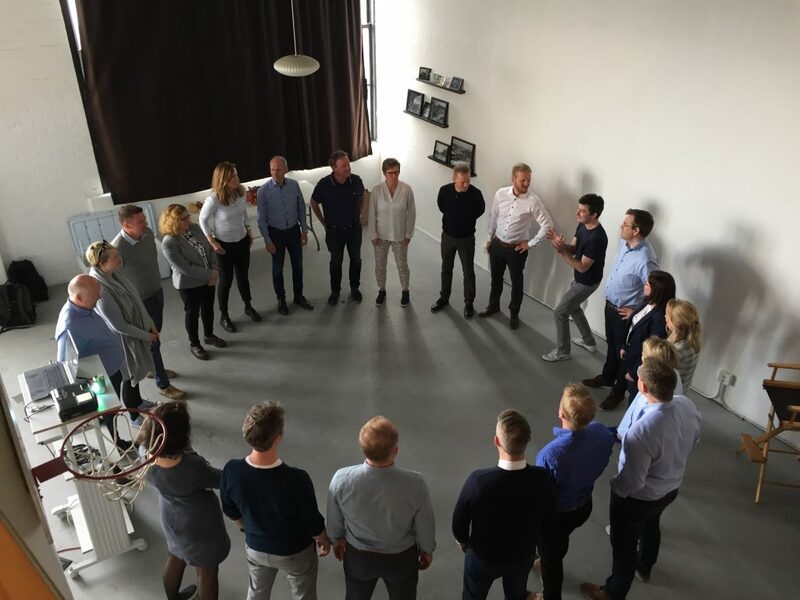 October 3: SpareBank; Design Thinking for Innovation Workshop (The Radicand Lab). August 26: Trondheim Maker Faire; Prototype or Else (Trondheim, Norway). August 10: MediaX at Stanford University; Design Thinking for Innovation Workshop (The Radicand Lab). May 24: WEAR 2016 Conference; The Hardware Journey: Getting from Idea to 10,000 Units (Boston, MA). May 18: ME202: Mechaphonics; Going from Prototype to Product (Stanford University). May 10: MediaX at Stanford University; Design Thinking for Innovation Workshop (The Radicand Lab). April 14: Blekinge Business Incubator; Crowd-Funding for Hardware (The Radicand Lab). March 5: Hardware Con 3; Prototype or Else (Zero Net Energy Center). March 1: Design Region Bergen – DesignArena; Prototype or Else (The Radicand Lab). January 12: ME310 Global Design Innovation; Prototype or Else (Stanford Campus). January 11: University of St. Gallen – Institute of Technology Management; Prototype or Else (The Radicand Lab). December 9: Hardware Massive; Prototype Or Else (NextSpace). October 27: SUGAR Network; Supporting Hardware Start-Ups (The Radicand Lab). August 24-27: IITC Graduate Workshop; Design Thinking & Entrepreneurship (Daejeon City, Korea). August 20: Innovation Workshop for Public Sector Leaders; Finnish-Estonian Delegation (The Radicand Lab). August 5: Hong Kong University of Science & Technology (HKUST) eMBA Design Thinking Workshop; Rapid Prototyping Methodology (Stanford Campus). July 28: MediaX at Stanford University; Design Thinking for Innovation (Stanford Campus). July 8: Leaders’ Quest Silicon Valley Workshop; Rapid Prototyping & Entrepreneurship at Radicand (The Radicand Lab). April 14: Blekinge Business Incubator; Crowd-Funding at Radicand (The Radicand Lab). February 28: Hardware Con 3; Killer Design = Winner Product (Zero Net Energy Center). January 20: ME310 Global Design Innovation; Prototyping or Else (Stanford Campus). October 31: People Rocket Workshop for Duke CE; Design Thinking Case Studies (The Radicand Lab). October 24: ME310/SUGAR Global Kickoff Workshop; Prototyping or Else (Stanford Campus). August 4: Hong Kong University of Science & Technology (HKUST) eMBA Design Thinking Workshop; The Tao of Design (Stanford Campus). March 12: Tampere University of Technology (TUT) eMBA Workshop; Design Thinking for Innovation (Stanford Campus). October 28: ME310/SUGAR Global Kickoff Workshop; Findings from the Center for Design Research (Radicand Lab). August 23: Hong Kong University of Science & Technology (HKUST) eMBA Design Thinking Workshop; The Tao of Design (Stanford Campus). December 14: Helsinki University Workshop; Supporting Innovation and Entrepreneurship at Stanford (Stanford Campus). November 27: ME18Q Creative Teams and Individual Development; Effective Teamwork: Lessons from Research (Stanford campus). October 30: SUGAR Workshop; Effective Teamwork: Lessons from Research (Stanford d.school). October 9: ME310 Global Design Innovation; Effective Teamwork: Lessons from Research (Stanford campus). September 27: ME310 Global Design Innovation; Introduction to ME310 & the Stanford Design Process (Stanford campus). July 2: Volkswagen CIO Workshop; Designing Creativity into Organizations (Berlin, Germany). June 29: HPDTRP Workshop; Team Dynamics Research (Hasso Plattner Institute at the University of Potsdam, Germany). May 31: ME310 Global Design Innovation; The Tao of Design (Stanford campus). May 22: 12th International Design Conference (DESIGN 2012); Design Team Reframing (Dubrovnik, Croatia). April 24: BT Americas Workshop; The Digital Self (Stanford Campus). April 5: State Farm Workshop; Design Creativity in Practice (Stanford Campus). March 19: Interdisciplinary Engineering Design Education Conference (IEDEC); Team Cognitive Diversity (Santa Clara, CA). February 22: HPDTRP Workshop; Team Cognition Research (Stanford campus). November 9: Aalto Entrepreneurship Society (AES); Design & Entrepreneurship at Stanford (Stanford campus). October 27: TED Arts; “Brain-Child” (Stanford campus). October 24: SUGAR Workshop; “Teamology” (Sheraton Hotel, Palo Alto). October 11: ME310 Global Design Innovation; Design Research & Applications to Teamwork (Stanford campus). October 7: ME201 Dim-Sum of Mechanical Engineering; Ph.D. Program Overview (Stanford campus). September 29: ME310 Global Design Innovation; Introduction to ME310 & the Stanford Design Process (Stanford campus). August 15: International Conference on Engineering Design (ICED); Team Cognition & Dynamics (DTU, Denmark). June 29: American Society for Engineering Education (ASEE); Social Participation, Collaboration & Learning In Online Virtual Communities (Vancouver, Canada). May 12: Luidia, Inc.; New Product Development Workshop (Luidia HQ; San Carlos, CA). March 10: IMVU, Inc.; User Research in Online Virtual Communities (IMVU HQ; Palo Alto, CA).